The day her gifted twins leave home for university, Eva climbs into bed and stays there. For seventeen years she's wanted to yell at the world, 'Stop! I want to get off'. Finally, this is her chance. Perhaps she will be able to think. A year in bed! Doesn't that sound great! Well, this turned out to be a looooong year! I remember loving the Adrian Mole books and have been thinking that they are due a re-read. Then I came across this in a bookshop in Nairobi. The book started well; quickly introducing comical characters and I thought I was in for a real treat.But as the weeks turned into months and Eva became more demanding and loopy, she becomes so unlikeable that you don't even want to read about her being in bed. Brian, her awfully boring husband and her twin children, kept me amused with their story lines longer than Eva, who was busy concocting plans of how to dispose of her waste without leaving her bedroom. Overall the book started well, was about 100 pages too long and then just ended. Just like that. That sounds like a really interesting book! 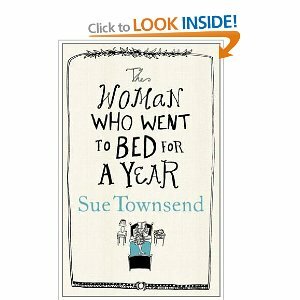 Oh, I love Sue Townsend! I need to read it! 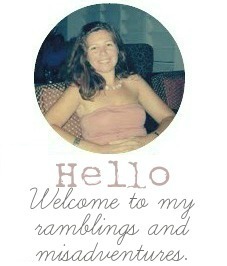 It's sounds interesting, but I like my characters to be somewhat likeable, and she sounds, well, not. A year in bed?! Goodness. Haha, I was on forced bedrest for a couple weeks and nearly went crazy!